This Art of Sea Kayaking Mendocino Series offers paddlers the opportunity to target what they want to learn and experience in Mendocino by joining us for a specific weekend. 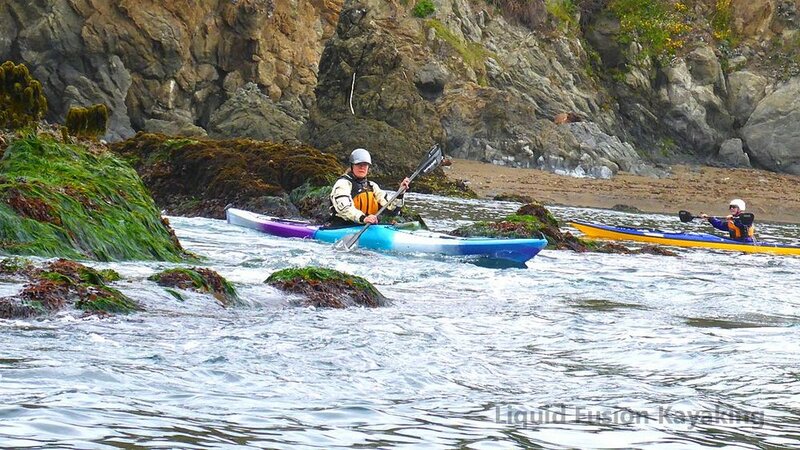 Paddlers can get an in depth Mendocino sea kayaking experience by doing several or all of the adventures in the series. Saturday will be instruction and training and Sunday will be guided play and touring on a stretch of the coast that highlights the features that we are training on that weekend. Paddlers can expand the experience to a 3 or 4 day weekend with Friday options of Whitewater of the Sea and Sea Strokes and Monday Sea Kayak Coastal Tour and Play Day. By doing the adventures with Liquid Fusion Kayaking, paddlers get the most comprehensive view of the Mendocino Paddling Experience. Local knowledge of coastal conditions and unique paddling spots, flora/fauna, wildlife, historical points of interest, and tales of local happenings are all part of the experience. 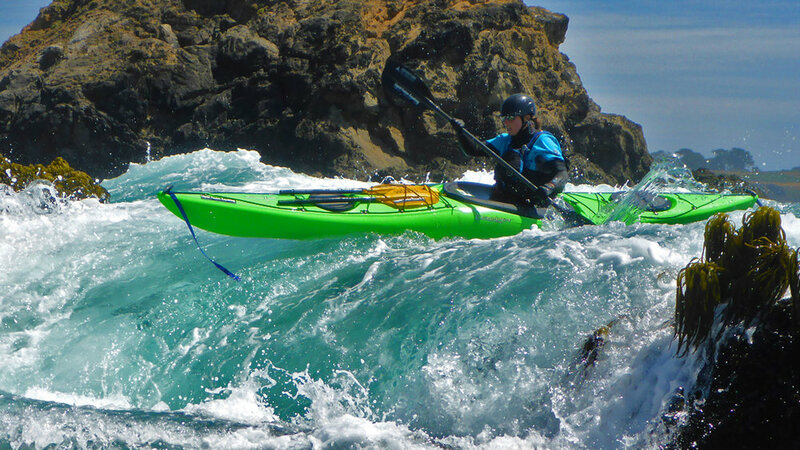 The Art of Sea Kayaking Mendocino is also available as a custom 3-5 day adventure. 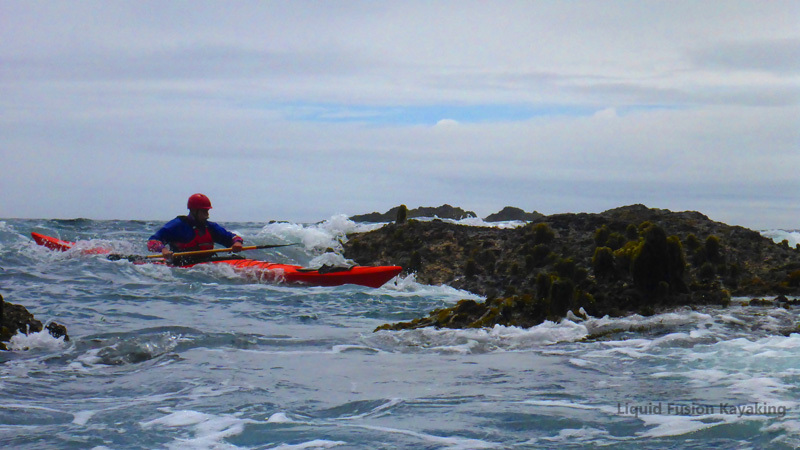 Art of Sea Kayaking 101 - Develop a good foundation of sea kayak skills. Day one is strokes, safety, and rescue skills on the Noyo River Estuary. Day two is a journey from the estuary out into the ocean. On this journey, we will refine your skills, check out wildlife and coastal rock formations, and enjoy the beauty of the Mendocino Coast. Sea Kayak Coastal Tour and Play - Journey and play in the rock gardens and sea caves of the Mendocino Coast with the local paddling experts of Liquid Fusion Kayaking. This is a full day trip where we will paddle and play in some of our favorite spots, lunch on a secluded beach, surf waves, ride pour-overs, and explore sea caves. 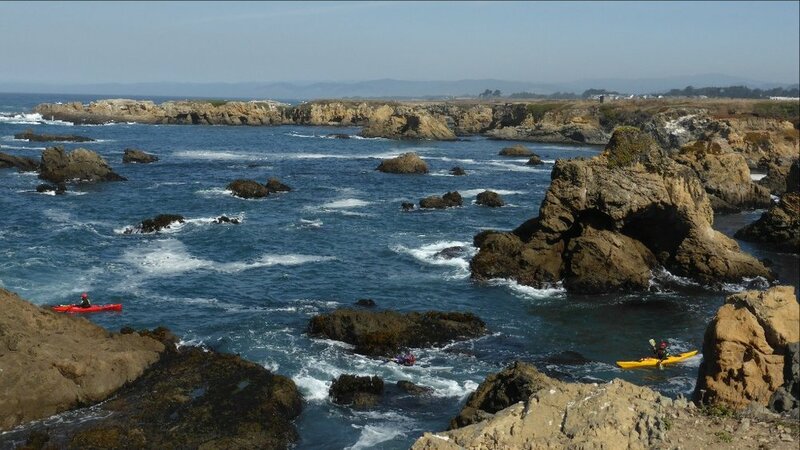 Sea Kayak Mendocino - Rock, Surf, n Camp - Paddle into a favorite beach, set up camp, and then surf, rock garden, and explore. 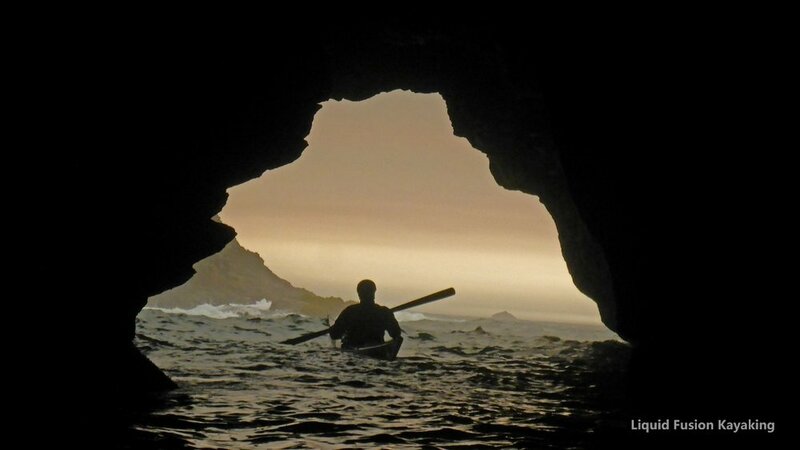 5 Day Intermediate/Advanced Art of Sea Kayaking Mendocino - rock garden and surf specific 5 days of instruction and play.